Cocktail Party Effect - Battered EP. Vinyl EP. Bleep. Cold Recordings here with another EP of forward-thinking techno, this time courtesy of Berlin-based Brit Eric Baldwin under his Cocktail Party Effect moniker. 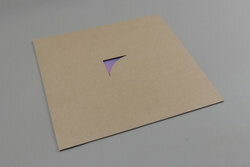 The four tracks of Battered make sense as a Cold release given that the label is run by Pinch. Each cut on the EP uses techno as a base from which to move out into other soundsystem stylings in a manner that recalls Objekt, Batu and the label boss’s own work. The title track and ‘OOYFM’ combine dubstep halftimes and subs with jittering hi-hats and skittish percussion lines. Both B-side dubs switch the attention to the kick drum to dastardly effect.